I can see the benefits of reading broadly, and reading classics, of reading outside your favorite area. I like Hemingway, the manly sweaters, guns, beard, and Arturo Fuente named a line of good cigars for him. I liked the detail and grit and realism in this book. I enjoyed the frank look at human nature. But I did not enjoy the story – it was futile and meaningless. Robert Jordan, the protagonist, was a faithless American communist from Montana (college prof, as one would expect). Back then, the mid-thirties, many western communists had not seen the ugly side yet. It was in Spain they would learn about the death and stupidity of communism as idealistic zealots rushed to the fractured nation to fight for the reds or the fascists. Hemingway learned it there as a reporter, so did Orwell. Our communist protagonist was therefore a character not unlike many of us, struggling with meaning and life and death and the themes of right and wrong. He saw evil and good, beauty and the vile side of men. Jordan grappled with justifying the evils of men, his own role in the war machine included, by leaning on the crutches of fantasy, tradition and sentimentalism. He found comrades, politicos, brothers in arms, scoundrels and crooks. He found his guerilla band in the hills. There were no answers there. He found love, it did not save him from his search for meaning. The sense of mission did not save him. Bravery did not save him. Mystics didn’t nor wise old sages. Overcoming family shame didn’t do it. The Republic did not save him. Catholicism didn’t save him. He came to a meaningless end. The implication we are left with is he found ultimate usefulness in dying for a lost cause, and becoming one with the forest floor. It was a book, then, about nothing. It was an exploration of the empty life of drifting through a vapid ideological void with no substantive answers. There was nothing for Jordan – no meaningful truth, no solid ground, nothing to really stand for, no God. In the end, it was a good illustration of life apart from the absolute truth and solid meaning found in Christian devotion. So it is a common tale, and not profound at all. Its the tale of a million lost souls searching, but refusing to see. It was the work of a talented but woefully lost author who’s skills were clearly gifts from God, but not acknowledged. Though set over the course of a week or two mostly in a lusciously painted setting – the Spanish mountains and a partisan camp – it told the tale through the thoughts, conversations, and memories of the characters, making it tiresome reading. Lots of pensive thoughts, repetition, fears, doubts, second guessing, piles of words and pages of afterthoughts. And drinking and reminiscing. All relayed in a fatiguing tome of lengthy sentences in badly translated English. That translation, however, was one of the points I appreciated most – its meant intentionally to capture the different genders and formal/informal distinctions of Espanñol. It helps to speak Spanish. All of this literary heaviness can be appreciated, but it was a task to be carried out, a book to be conquered rather than enjoyed for the sheer pleasure of reading. If you like that, its a book for you. 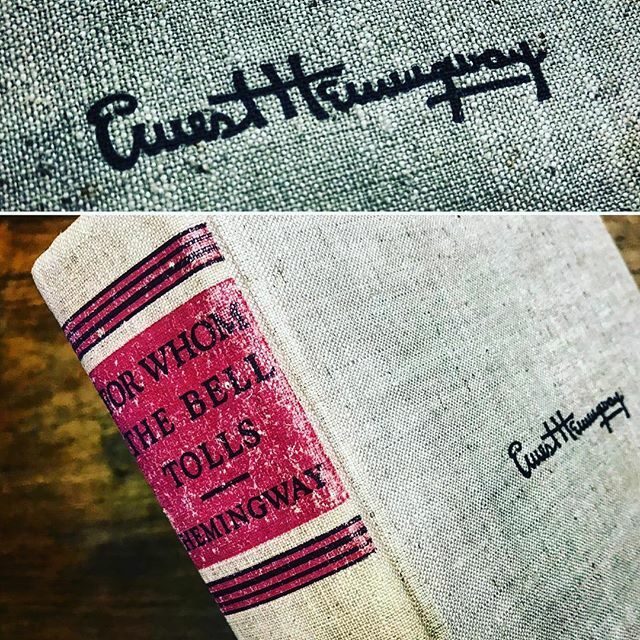 I’ll read more Hemingway to get the fullness of his writing style, but not this year.